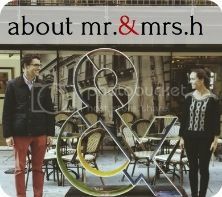 We are a husband & wife hospitality consulting team. We believe in the beauty and gift of hospitality/travel. We love the way these two things bring people out of the mundane and into a place rest and reconnection. Thus, we've devoted ourselves to collaborating with innovative hotels and restaurants in making their dreams become realities. After getting married in 2010, we decided to leave our "normal" (jobs, home, etc.) and follow our dreams and passions. That took us to Northern California and then to Tennessee, where we were privileged to learn the art of hospitality at Blackberry Farm. From there we began the adventure of mr.&mrs.h. Through our work, we are afforded the opportunity to experience remarkable organizations, cities, and people; and, like any helpful friend, we like to share those travel tips with you. 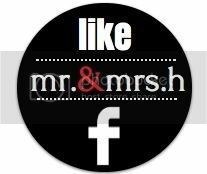 Our blog, the mr.&mrs.h guide, was born out of the desire to do just that. 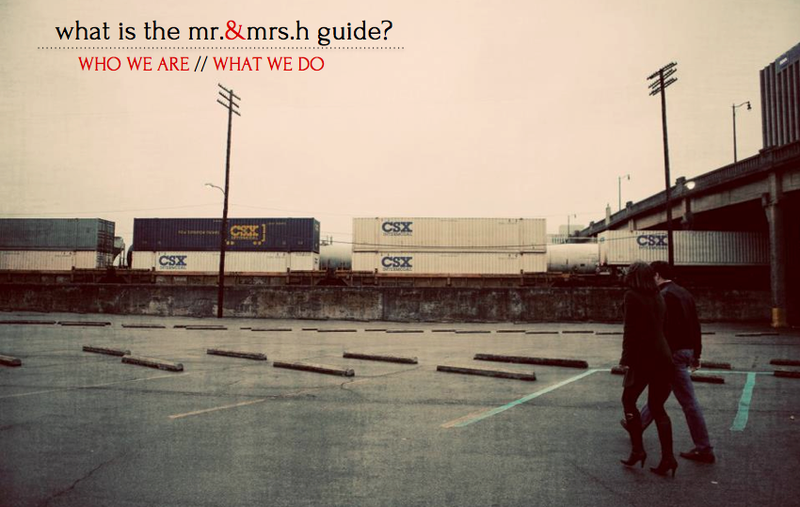 So, welcome to the mr.&mrs.h guide. We hope it inspires you; gives you ideas about where to eat, sleep, and play; and entertains you as get a window into the lives of two dreamers following their dreams. ➺ We love life and spend most of it happy. ➺ We firmly believe that today is a good day and people make it better. ➺ We love good food & good drinks with good people. ➺ We are inspired by how much possibility there is in the world of hospitality (and the world in general). ➺ We believe in living deeply -- not simply existing. ➺ We love helping dreamers' dreams come true.